Our golf speed training program effectively blends TPI with Fast First golf speed protocols. Golfers will see increase of 5 to 10 miles per hour of swing speed. Improve coordination, sequencing to gain speed and increase distance! Measured statistics clearly shows, shorter distances into greens yields greater opportunities to shot lower golf scores. Measured statistics clearly show that distance is a big factor is a golfers ability to shot lower scores. The image to left is taken from Mark Broadie Every Shot Counts book. 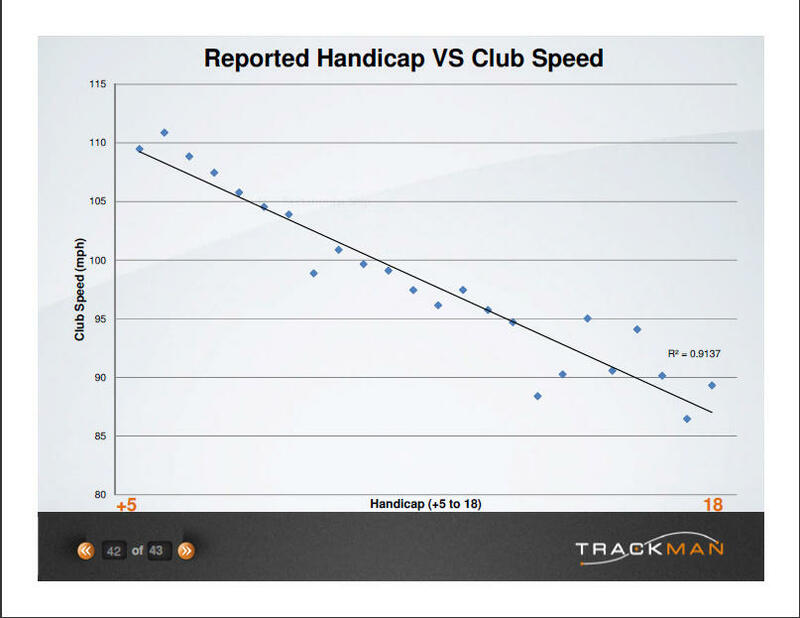 The above image stems from a TrackMan presentation on what they have measured. Both TrackMan and Mark Broadie are leaders in their fields of study. Unfortunately, golfers have been lead to believe that speed is something that one is born with. Speed is a skill, just like any other that needs to be trained. Our golf speed training program helps golfers increase their speed! Our golf speed training program combines two of the industries best educational curriculums. Dennis has extensive training in both curriculums and effectively blends the two into a unique program that helps golfers increase their speed. Curriculum utilizes key components into developing the mindset of athletes first. Speed training includes the development of FUNdamental Movement Skills and Fundamental Sport Skills. Ben has been called the father of golf speed training. His golf speed Training On The EDGE program is a cumulation of improving players speeds for over 25 years! Classes are offered 6 days per week. They are easily scheduled thru our app. Our app will also tracks your speed gains. Golf speed Training membership includes 8 sessions per month. Please use form below to request more information. Dennis Sales Golf is a premier training center located in Flower Mound, TX. Our uniquely designed 2000 square foot golf training center is specifically designed to enhance key fundamental to training in order for golfers to improve performance. Our golf speed training program is designed specifically to develop greater speed. Each golfer will perform various exercise necessary to develop the needed coordination, sequencing, and stamina to increase speed. Frequently asked questions about golf speed training program. Q- Will golf speed training affect the mechanics of my swing. I have someone who provides me full swing lessons. A- No, this classes doesn’t focus on mechanics or swing positions. We have been told that our system of training speed has created greater awareness of feel for a particular motion. Q- How much speed will I gain from golf speed training? A- Every golfer is slightly different but one can gain an average of 5 to 10 mph from golf speed training. Q- Do I need to bring anything to golf speed training class? A- Golfers do not need to bring anything once benchmark is created. All tools will be supplied. Q- Do I wear golf attire to attend golf speed training classes? A- No. Please wear athletic sneakers and gym clothing. Q- How long is each golf training class. Q- If I need to change a booked class, can I do that? A- Yes, we fully understand that our lives are hectic and things happen. Q- What happens if I can’t attend all classes per month? A- Golf speed classes do not carry over to next month. To ensure maximum gains, golfers really need to stick to schedule. Since we also offer numerous classes per week, app for easy scheduling, it makes it simple to reschedule golf speed training classes. Dennis Sales Golf specializes in delivering high performance golf training to golfers looking to improve their swing and games. 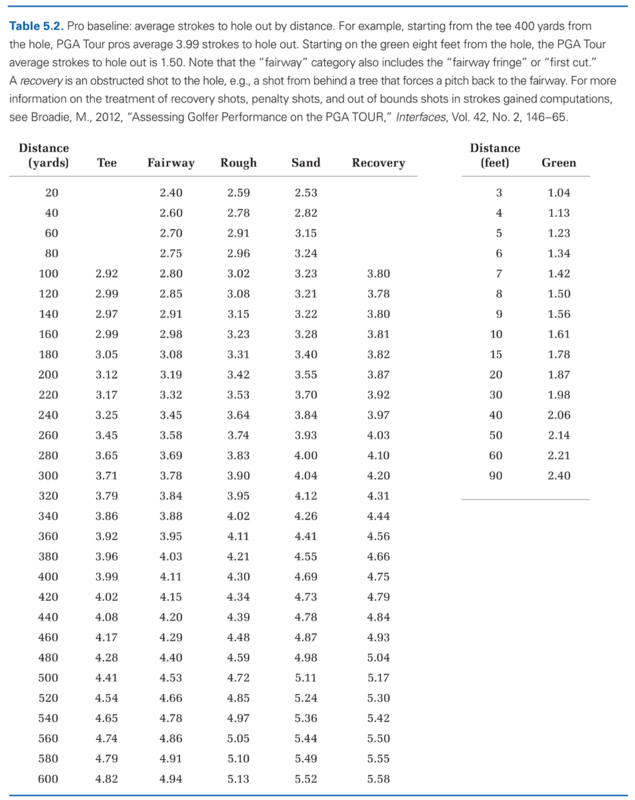 This golf speed training program focuses on improving a key performance indicator of shooting lower golf scores.